The first Army Commandos were raised by a Gunner, Lt Col John Durnford-Slater RA in June 1940, following the defeat ending with the evacuation at Dunkirk, The Commandos struck at the German forces at a time when Britain was otherwise powerless. Raids were made on the coasts of Norway, France and the Mediterranean. By the time of the Normandy landings of 6 June 1944, the Commando forces were of a considerable size and had played a vital part on operations in all theatres of war. 148 (Meiktila) Commando Forward Observation Battery Royal Artillery is a Commando-trained unit of specialist Naval Gunfire Forward Observers. Although part of 29th Commando Regiment Royal Artillery, it conducts many operations separately from the rest of the regiment. 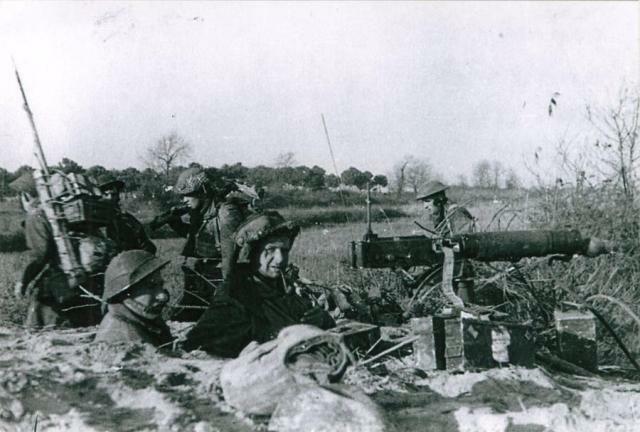 Royal Artillery batteries are usually named after one of their battle honours; the Battle of Meiktila occurred in Burma in February/March 1945, with 148 Battery firing its 25-pounder guns in support of 255th Armoured Brigade. Commando trained HQ Battery based at the Royal Citadel, Plymouth including RLC attached ranks. A volunteer military reservist unit of Greater London. Redesignated in 1977 as 289 Commando Light Battery (V) from 289 Parachute Battery RHA (V). Commando trained currently based at RM Condor, Arbroath. The Battery converted to the Commando role on 15th May 1962. Two years later saw the Regiment based in Singapore and serving in Borneo and Malaya where it saw action in the jungle role. The early seventies saw the battery based in Malta until it returned to The Royal Citadel in 1974. The troubles in Northern Ireland saw the Battery deployed on four Operation BANNER tours. The Battery has also served as part of the UN peacekeeping force in Cyprus on two occasions, the last in 1995. Commando trained. Currently based in the Royal Citadel Plymouth the Battery is known as "Black Eight" because of their efforts at the Battle of Alma where the Battery fired more rounds than any other leaving the faces of the gunners black with powder stains. Black Eight is the second gun battery in 29 Cdo. Regiment and is also equipped with six 105mm Light Guns and three Observation Parties. The origin of this unit was the 95th Amphibious Observation Regiment RA formed in the early 1950's, which was redesignated as 95th Commando Amphibious Observation Regiment RA in 1962. 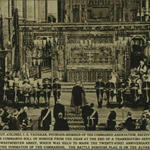 On the 18th March 1964 it was redesignated as 95 Commando Light Regiment RA. 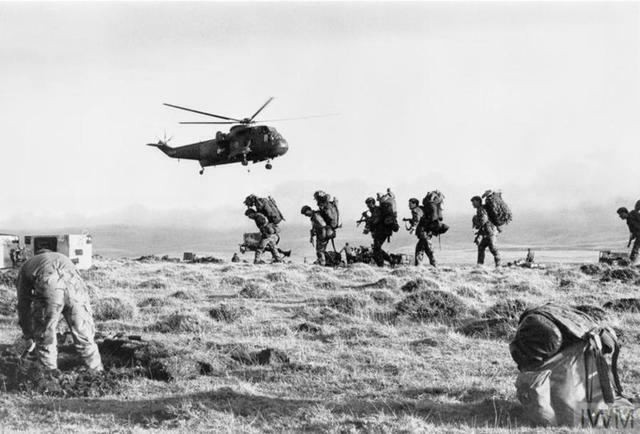 On the 1st May 1971 it was again redesignated as 95th Commando Forward Observer Unit RA and joined with 29 Commando Regiment RA. Gunner Robert Cutting, aged 18, from Blackley Manchester, was shot dead at 4am whilst on foot patrol at the junction of Lepper Street and Stratheden Street, in the New Lodge area of Belfast. This was a blue on blue incident. A chronology of the Northern Ireland Conflict September- October 1972 entitled The Troubles issue 17 describes the tragic incident and states a Marine was also seriously injured after 2 patrols mistook each other for gunmen. 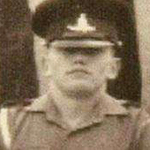 Gunner Gary Eccleston, Bty. Cmdr's radio operator, received a Mention in Despatches in recognition of service during the operations in the South Atlantic on the night of 11/12 June 1982. 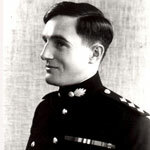 Bombardier Edward Holt was awarded the Military Medal in recognition of gallant and distinguished service during operations in the South Atlantic. Bombardier John Jackson received a Mention in Despatches in recognition of service during the operations in the South Atlantic. Gunner Jeffrey Jones received a Mention in Despatches in recognition of service during the operations in the South Atlantic. 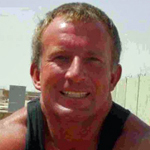 Sergeant Ronald Maloney, 8 Alma Bty., died during dental treatment. 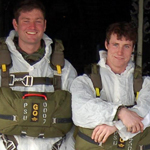 Lieutenant Eoghan McCardle died in a road traffic collision. He was the Gun Position Officer (GPO) of 8 Alma Bty. 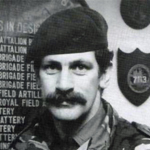 Citation: "Captain William McCracken, 29 Commando Regiment Royal Artillery, was in command of an Artillery and Naval Gunfire Forward Observation Party grouped with B Company 3rd Battalion Parachute Regiment during the period 13th-14th June 1982. During the attack on Mount Longdon in the early hours of 12th June Captain McCracken consistently brought down artillery and naval gunfire safely in very close proximity to his own troops allowing them to manoeuvre whilst still maintaining contact with the enemy. 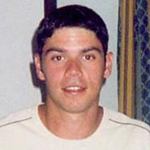 Lance Bombardier Richard Odams, born in West Hartlepool Durham, died in a boating accident whilst serving with 8 Bty. 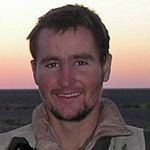 Staff Sergeant Jack Page, BQMS to 8 Alama Bty., was awarded the B.E.M. (Military Division) on the 1st January 1973 . 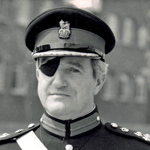 He had served for 20 years across the globe with the Royal Artillery, including operations with 95 Commando (Light) R.A., from 1962 to 1971, and then 29 Commando Regiment R.A., on the reorganisation of the Commando Regiment. His service included Hong Kong, B.A.O.R., Singapore, Kuwait, Borneo, U.N., and Northern Ireland . 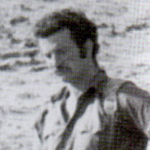 Warrant Officer 2 Malcolm Richards received a Mention in Despatches in recognition of his service during operations in the South Atlantic between 25 April - 15 June 1982. Lieutenant Charles Roffey died in road accident in Johore Bahru Malaysia. 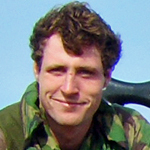 Captain Christopher Romberg received a Mention in Despatches  in recognition of his service on the night of 9 June 1982 whilst accompnaying a fighting patrol from 42 Commando RM. 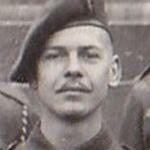 Gunner Philip Russell, 7 Bty., died in a road traffic collision. 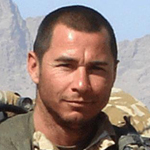 Captain Nicholas Searight died in a road traffic collision whilst deployed to Belize. Also died in this accident - SSgt. John Peter Mitchell and Sgt. Michael John Small. 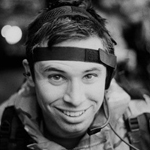 Operator Mechanic Second Class (Communications) Ian Seymour RN, 148 Commando Battery Royal Artillery, was operating with the UK Landing Force Command Support Group. He died in a helicopter crash. 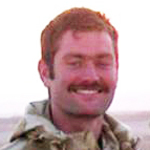 Lance Corporal Dean Shams, REME, died whilst serving with 29 Commando, 79 Kirkee Cdo Bty. Fitter section in Belize. He slipped and fell into one of the chutes at the falls near Baldy Beacon. No one had seen him fall. He was missing for 8 days before the water level dropped and his body found trapped amongst rocks. There is a memorial plaque for him in 29 Workshops. 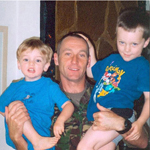 Dean had been recently married and had been promoted to L/Cpl at the time of his death. 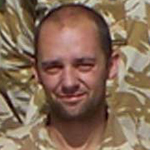 Sergeant Michael Small died in a road traffic collision whilst deployed to Belize. Also died in this accident - Captain Nicholas Searight and SSgt. John Peter Mitchell. 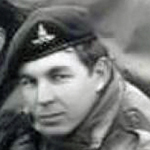 Sergeant Ivor Swain died during operations in Northern Ireland. * James Walton, 95&29 Cdo. 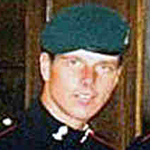 Bombardier Steven Walmsley, 23 HQ Bty, 29 Commando, died at the Royal Citadel shortly after receiving his promotion. 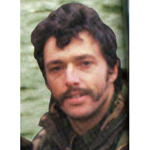 Lieutenant Mark Waring received a Mention in Despatches in recognition of his service during operations in the South Atlantic between 21 May - 15 June 1982. Lance Bombardier Douglas Will, 8 Alma Bty., died in a road traffic collison. Lieutenant Mark Williams received a Mention in Despatches in recognition of his service during operations in the South Atlantic between 21 May - 15 June 1982. 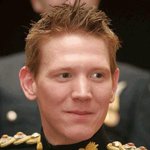 Bombardier Barry Wright died as a result of a road traffic collision. He served with 7 Bty and 49 Fld Regt.